When you enter the library, the Athenaeum is the room directly to the left. 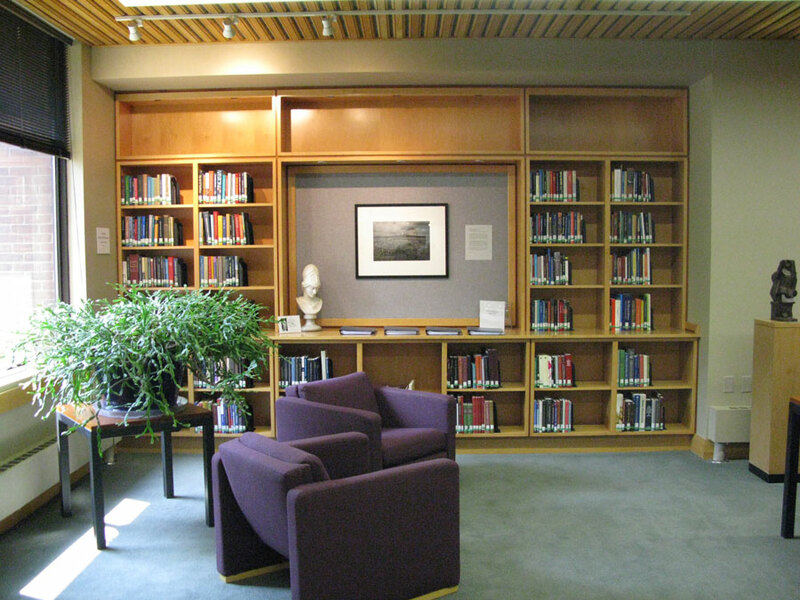 The Athenaeum houses the current reading collection and faculty publications. It is also the space for an ongoing program of cultural events in the library. Check out the library's website for a list of events they're always open to everyone. 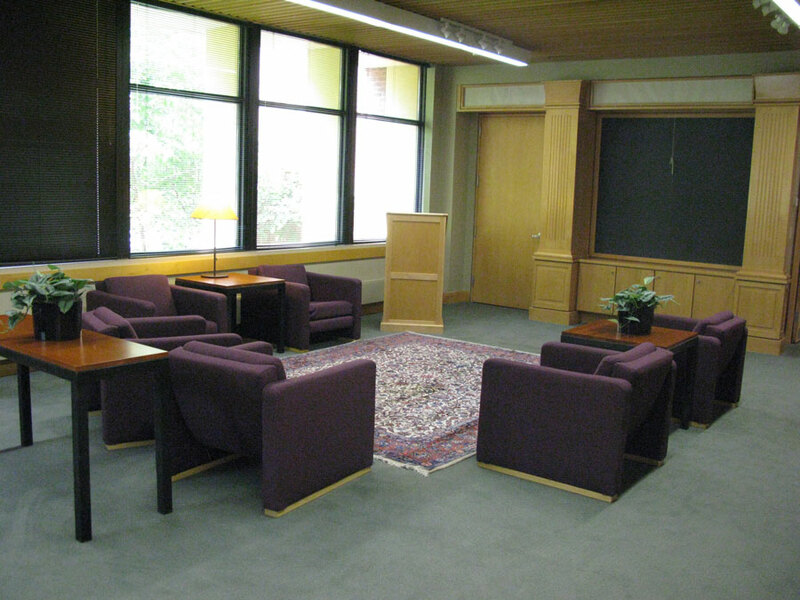 When there aren't events, people use this room as a reading and studying space.